The Law Office of Douglas Earl McLaren specializes in several areas of corporate and commercial law. We have resolved disputes between corporate and commercial entities including private and public transactions and those involving issues of malfeasance. Some of the commercial matters the Firm has effectively negotiated or resolved include commercial contracts, partnership and exchange agreements, sales and distribution agreements, MOUs, LLCs, and LLPs. In addition, The Law Office of Douglas Earl McLaren offers corporate, commercial and regulatory consultation services. We can help you register a subsidiary, company, branch, or local entity, and handle your corporate governance and regulatory compliance issues, and related real estate transactions. The firm has provided advice and counsel with respect to international transactions, development, and environmental regulation and compliance matters overseas. 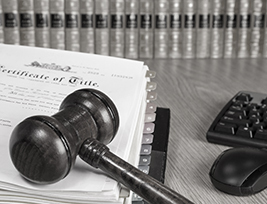 The firm provides impartial, independent and neutral arbitration and general ADR services in the following areas: commercial, construction, environmental, the securities industry, and matters involving public sector entities. We provide the highest standards of ethics, integrity, professionalism and independence. Each area of the law is very different and must be handled with the rigorous level of care, expertise and experience required to resolve your problem. We undertake cases selectively so that we can maintain total commitment to your case, thus avoiding any conflicts of interest. Our approach is to provide sound judgment, advice and counsel to our clients in a competent and cost-effective manner. We will work diligently to resolve your problems and make a positive difference in your case. If we believe that we are unable to resolve your problem expeditiously we will immediately refer you to one of our roster of specialized counsel.